Mila door keep latch part replacement. 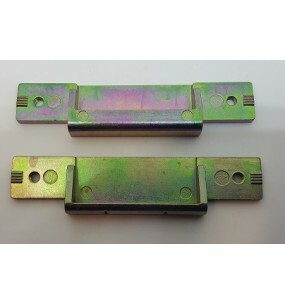 This part connects to the main door keep piece on the frame. It catches the centre door latch on the main door lock mechanism when closed, so to hold it and keep it in the closed position. 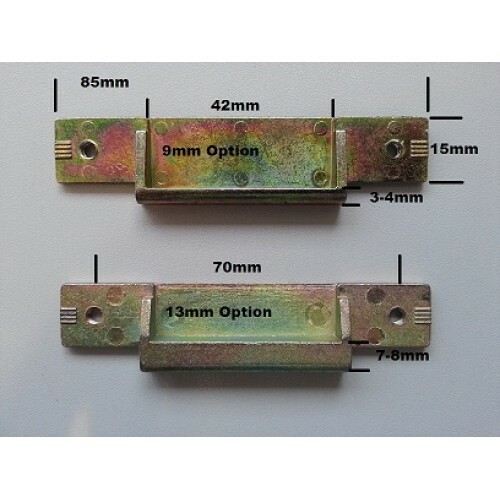 Available in 9mm and 13mm sizes.